Planár mágneses, nyitott high-end fejhallgató. 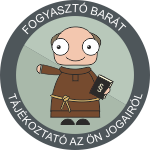 A készlet erejéig akcióban ! ETHER also uses a NiTinol "memory metal" headband to reduce weight and improve comfort. NiTinol is Nickel-Titanium alloy that is heat-treated to a geometry we set that's ideally mated to our ear-ads to deliver a quality seal with minimal pressure. Simply stated, a conventional planar driver is usually assumed to move as a flat surface. In reality, this is not possible as the driver substrate is inelastic and “locked” at the boundaries so the driver will move more as an arced surface then a flat plane, as conceptually illustrated in Figure 1. Over the years, different approaches have been developed to address nonlinear planar motion and the artifacts it can cause. Fostex patented their RP technology, used on all their drivers used in our headphones, to reduce panel nonlinearities. Another approach, known as knurling, was patented in 1997 by Bruce Thigpen, founder of Eminent-Technology and pioneer of numerous planar magnetic speaker technologies. We felt it would be possible to improve on the solutions available to date, so we collaborated with Bruce to develop V-Planar knurling technique (we filed for a patent with Bruce as a co-inventor). In simplified form, V-Planar technology addresses nonlinear driver motion by more deeply creasing the diaphragm to increase compliance. Much as pleats allow an accordion to expand and contract without stretching the fabric, the creases in the driver "open" slightly during larger excursions as illustrated in Figure 2. When the driver is processed, the resultant peaks and troughs are deep enough to maintain more of their physical structure even after the driver has been tensioned. Increasing the driver compliance allows it to behave as a more idealized planar surface and also improves it's acceleration. With more of the driver surface in linear motion, V-Planar can not only push more air at low frequencies, but with greater acceleration also delivers better dynamics, high-end frequency response, and measurably lower distortion. The Sound We are committed to avoiding too much "marketing speak," and so we are deliberately going to avoid a lot of prose and to simply say we love the sound of our drivers post V-Planar processing, they do sound more natural and engaging to us.